Welcome to Italy! We've been active since 2002 and over the years have helped out thousands of people wanting to fulfill their dream of riding here. Let us help you, if this is your wish too. We offer services from just rentals to complete tailor-made packages from the Alps all the way to Sicily. 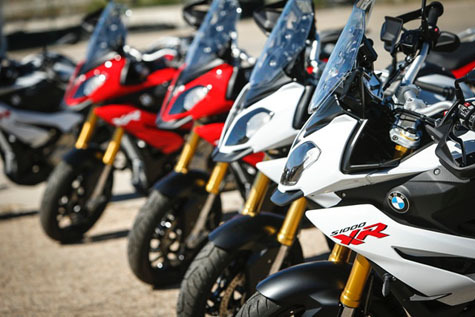 Don't hesitate to contact us if you'd like to ride in Italy and need some guidance. We'll be happy to suggest itineraries, design a custom ride for you, provide you with GPX routes, touring information, and support. We'd be honored to show you around. 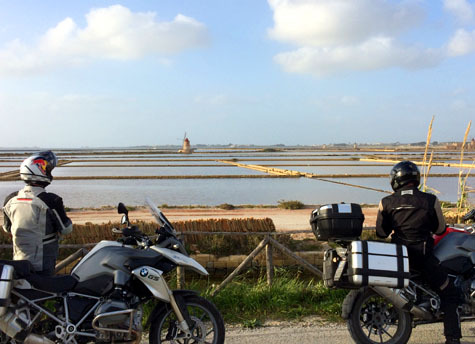 We have been organizing motorcycle tours around Italy since we first started CIMT in 2002. Our main goal is not to provide luxury tours, but to give you a real experience of what riding in Italy is all about. We'll keep the groups small and reach the classic destinations, but still keeping away from the mainstream tourist traps. By staying in small family run hotels you'll also get to experience the real Italian family hospitality. You'll be honored guests and friends, not tourists. As for food, Italy has no rivals. We'll take you to the local restaurants, where you'll get to taste local regional dishes with local produce. For more information on our tours look at our calendar and tour options. We have rental locations in Rome, Florence, Venice and Milan. You can chose from our bike selection in the rental page and ask for a quotation. Custom made itineraries, GPX routes, Hotel bookings, guides to show you around, support vehicles to carry your luggage. Best thing after a motorcycle. Enjoy your vacation in the open air with this amazing Italian Spider. 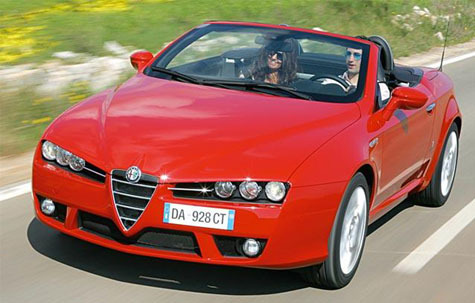 Amazing handling but still comfortable and fun to drive, the Spider offers an amazing Italian experience. You'll turn heads wherever you go and whilst you drive it, you'll be able to feel the great heritage to which this car belongs: Alfa in its soul and Pininfarina in its looks.